Today on a rather bleak and cold rainy day, in Reykjavik at least, Icelanders take to the voting booths. The current coalition in government seems certainly fallen with the Progressive party plummeting since the Panama controversy and the Independence party has fluctuated for the last couple of weeks. How ever in the last poll published yesterday, the day before elections show the conservative Independence Party surging ahead. RUV reports that the Independence Party is now polling at 27%, with an upswing of a few points. The Left Green party has been the rising star of the last few polls, surging upwards, now with 16.5% points, almost reaching the Pirates that held the lead for a while. The Pirate Party is now at 17.9%, going below 20% for the first time in months. 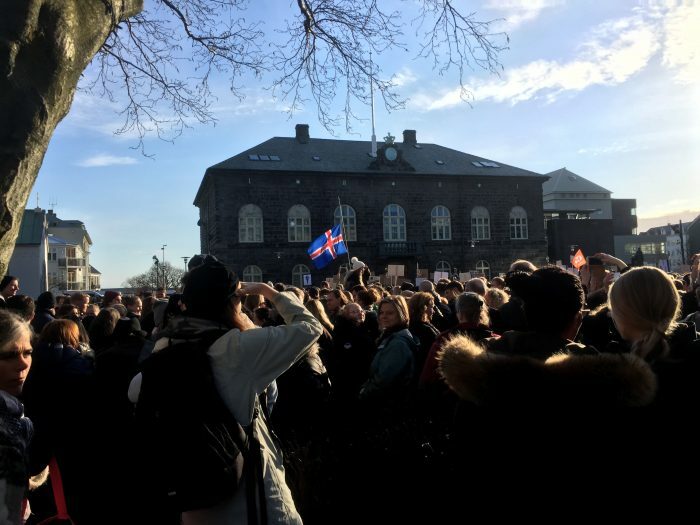 The Pirates and their popularity in Iceland still hold the fascination of the international media and when Birgitta Jonsdottir Pirates leader went to vote this morning she was followed by “a wall of reporters” according to Visir. The BBC speculates about the possibility of the next prime minister of Iceland being a Pirate. The Associated Press is covering the elections. The New York Times and the Washington Post in the US have reported on the elections and in the UK the Guardian speculates about the Pirate’s chances. Al-Jazeera also wonders about the outcome and if Iceland will vote to “root out corruption”. Its safe to the eyes of the world are following these elections in the small island in the north.